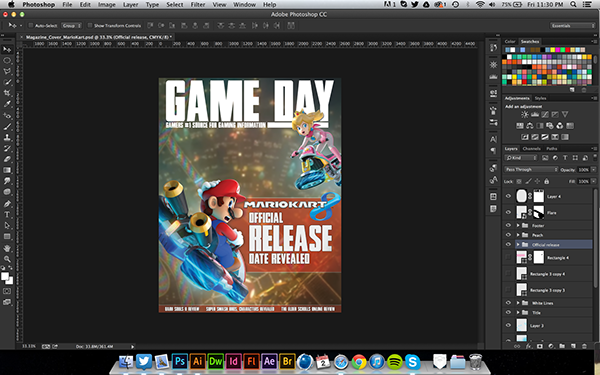 Game Day, a magazine that should become an official magazine and hire me as their cover designer! A designer can dream, can't he? Anyways, if you guys can, please appreciate the project if you liked it and follow me if you wish to see more of my upcoming work. As a side note, if you want to check out my perosnal portfolio, go ahead and head over to Zachbharris.com and there you can see blog posts about random thoughts, more of my official portfolio pieces and an actual contact me form to directly email me. Anyways, thanks for viewing this project, I had a blast creating it, and I really want to do more designs like this. I really love the depth of field in this piece along with how Mario and Peach just "POP" and stand out because of the blurred rainbow road. 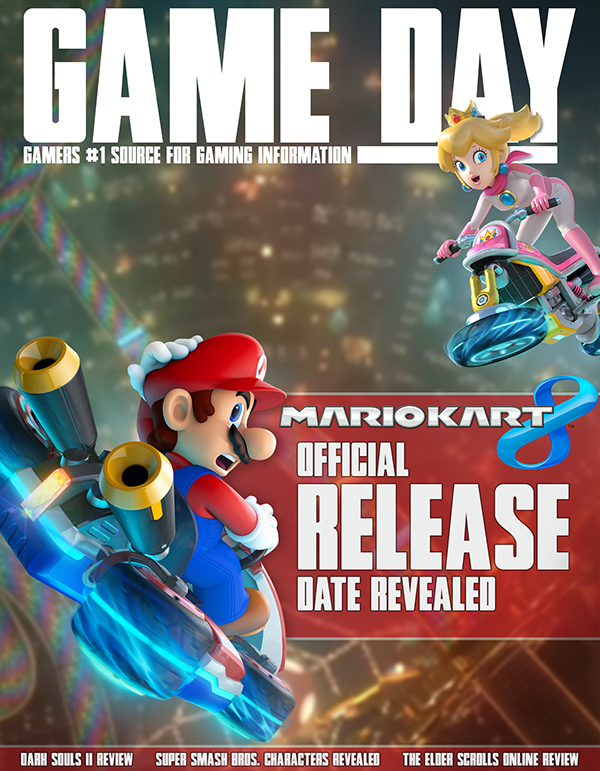 I am so pumped for this game along with the next Super Smash Bros.
"Game Day" is a fictional gaming magazine that I created in order to make a Mario Kart 8 cover design. 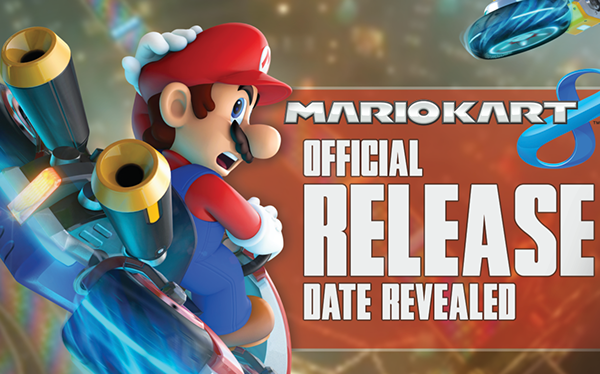 I was inspired by some of Game Informers designs, but honestly most of it was thrown together by what I think is right.